This cocktail is named after the Japanese distillery that produces Midori. The popular muskmelon-flavored liqueur lends its glowing chartreuse hue to this citrusy Martini. Shake the ingredients vigorously with ice. 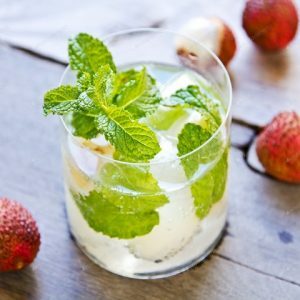 Feel free to comment or share your thoughts on this Suntory Cocktail Recipe from Awesome Cuisine.